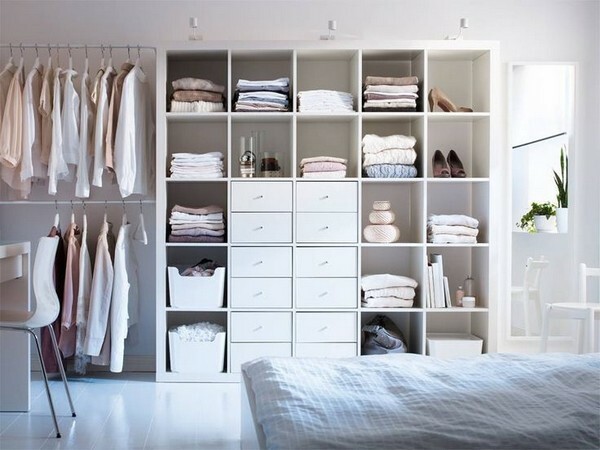 Your wardrobe is packed with stuff, but every morning it seems that you have nothing to wear? Piles of sweaters and jeans are soaring on the chairs, since there is no more space on clothes hangers and wardrobe shelves? The root of these problems is wrong organization of storage system. Poor state of stuff, lack of clear visualization (which results into the “I-have-nothing-to-wear” mood), permanent disorder – here are just several drawbacks. We suggest struggling this with the help of nine simple rules, following which you will definitely be able to organize an ideal closet. 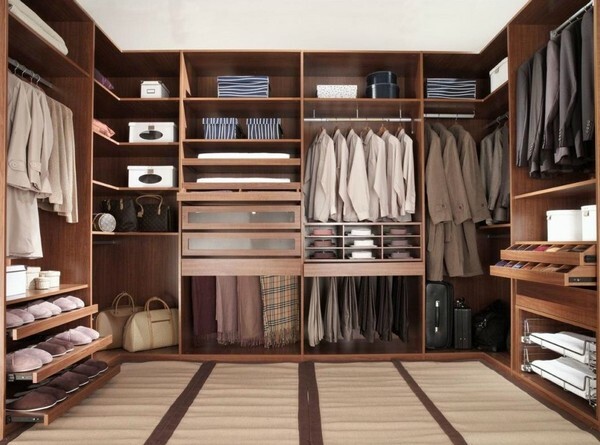 The golden rule for perfect order in a wardrobe is that every type of clothes must have its place. 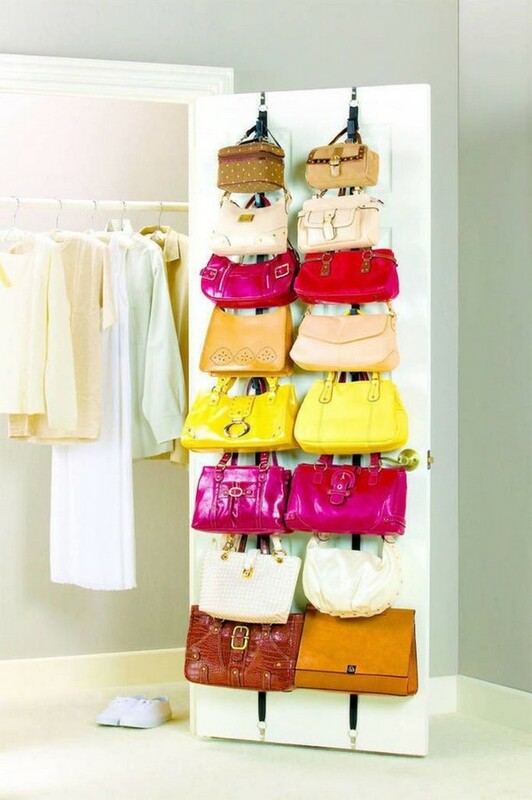 If we always arrange dresses and shirts on the clothes hangers, and put sweaters on the shelves, this would gradually lead the system to automatism, and we’ll not waste time standing in front of wardrobes and trying to figure out where to put this or that kind of stuff. This also simplifies the cleaning process and finding a definite thing. The most customary scheme looks as follows: long clothes and jackets are kept on clothes hangers, shoes are arranged below them, wrinklefree knitwear is put on shelves, and on the upper level boxes with out-of-season stuff are organized. If a roomy walk-in closet is so far just a dream, why not use a few space-saving tricks for a regular wardrobe? Firstly, it’s a nice idea to use the back side of doors to arrange accessories, bags and belts – just make sure that they won’t prevent the doors from closing. Secondly, a nice way to double the space is using two-level hang rods. Traditionally blouses, tops and jackets are hung on the upper level, and skirts and trousers – below. One more important point is the balance inside the closet. 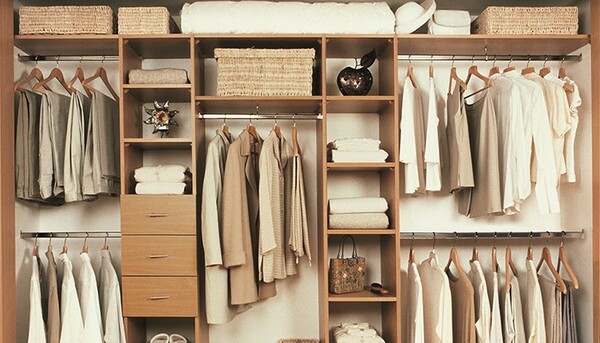 First of all, clothes must not be put or hung too close to each other: proper density enables you to get any thing from the closet without disturbing the others. And if your favorite sweater has to be pulled out of a huge pile each time, the order won’t last long. Ideally, things that you wear occasionally should be kept in boxes or put in remote parts of a closet – this way you’ll be able to keep your favorite things well-organized. 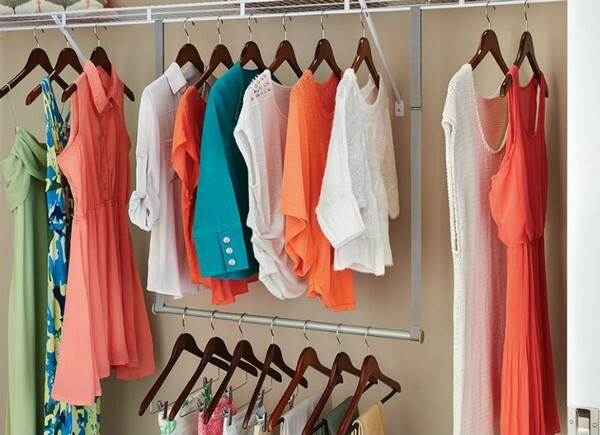 Any rules for ideal closet organization won’t work if it’s inconvenient. 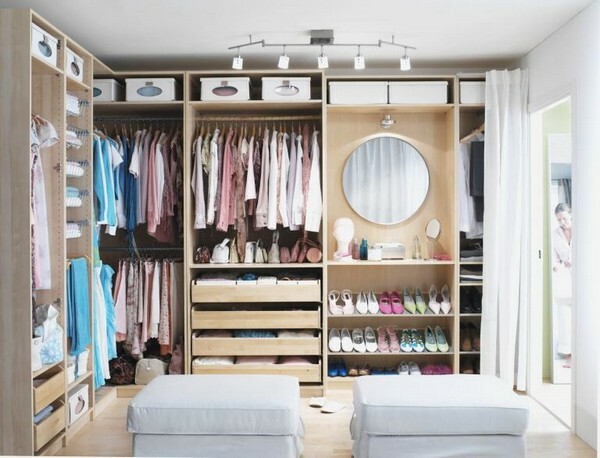 That’s why try to arrange your clothes and accessories according to the following principle: out-of-season or seldom worn stuff must be put on the top or bottom levels of the closet, while eye-level shelves and rods must be assigned for those things that you put on almost every day. Also, remember that if you need to get a stool to grab a thing, you are unlikely to wear it too often.